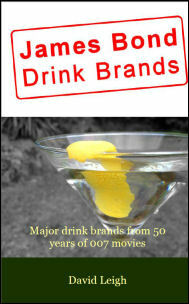 While James Bond is well known for his love of vodka martinis, in Ian Fleming’s books he more often drank whisky. And although this was sometimes scotch, from Live And Let Die onwards Bond prefers bourbon instead. 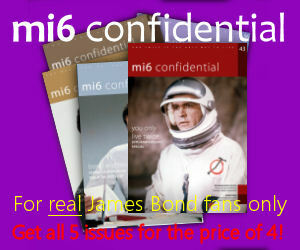 However, when you think of James Bond’s background that seems a little curious. As is well known, his father was Scottish and his mother Swiss, and the Scottish connection even more firmly cemented when Sean Connery stepped into the role for Dr No. Surely James Bond, who Ian Fleming went out of his way to give Scottish ancestry in the later books, would have naturally chosen to drink Scotch whisky whenever he had the opportunity, wouldn’t he? 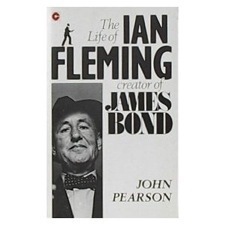 The answer, like many things related to 007’s habits, lies with Ian Fleming himself. Fleming’s paternal grandparents were Scottish and according to John Pearson, who worked for Fleming at the Sunday Times and wrote an early biography of him, his mother was insistent on drumming into Fleming that he was a Scot; having lost her husband to the battlefields of northern France during the First World War she brought up their sons to idolise their father. How Scottish Fleming actually felt is a different matter but, when in his late forties and suffering from heart disease caused by years of drinking and smoking heavily, Pearson tells us that Fleming cut down to fifty cigarettes a day and switched from vodka martini to bourbon. After suffering from the inevitable heart attack in 1961 aged 52, Fleming was hospitalised for several weeks. During this time he received the advice from his friend Lord Beaverbrook that strong drink was, contrary to cigarettes, good for his heart. And when visiting Japan with ‘Dikko’ Henderson to research You Only Live Twice, Fleming drank the local saki but carried his own supply of bourbon in his suitcase. Henderson asked him whether he really preferred bourbon to scotch; Fleming replied that bourbon expanded the cardiac muscles while scotch made them contract and insisted that it helped combat the effects of nicotine. Whether he really believed that bourbon was good for him though is unknown. When we get to the films Bond certainly does drink whisky on a few ocassions, but rarely in the early films. In You Only Live Twice he drinks Suntory and On Her Majesty’s Secret Service sees him ask for a malt whisky with branch water (an odd request). 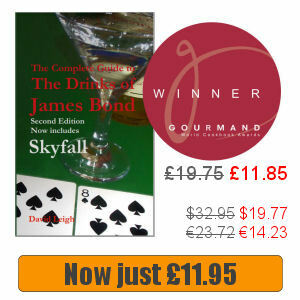 And finally, in The Living Daylights, 007 drinks bourbon; Felix pours him a glass of Jim Beam. Then in Goldeneye M offers him a Jack Daniels on the rocks; in Tomorrow Never Dies while in M’s car they drink what looks like whisky; in The World Is Not Enough he is served a single malt scotch by M after returning from Bilbao (a bottle of Talisker single malt scotch can be seen in the background) although he never has the chance to drink it; and Bond drinks a whisky in MI6 headquarters during the virtual reality scene in Die Another Day, which is probably Talisker again since a bottle is in M’s office. Since Daniel Craig took over as 007 he has remained partial to a whisky; on the train to Montenegro and after the stairwell fight during Casino Royale; in Quantum of Solace while being briefed by M; and then in Skyfall several single malts from scotch distillery The Macallan are seen in a number of scenes, most memorably The Macallan 1962 at Dead City. It is curious to note that when the film-makers, particularly Barbara Broccoli, talked about returning to Ian Fleming in Skyfall they did it on a very selective basis; as far as whisky goes they went in the opposite direction to Ian Fleming completely. Not much. But it is interesting to note all the same. Click here for more info now!